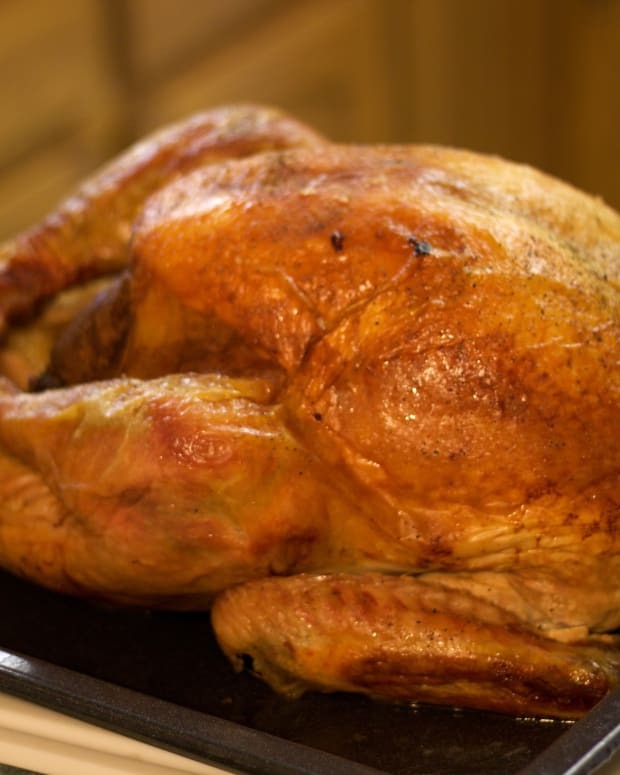 Can I brine my Thanksgiving Turkey? What else do I need to know when roasting a Turkey for Thanksgiving? 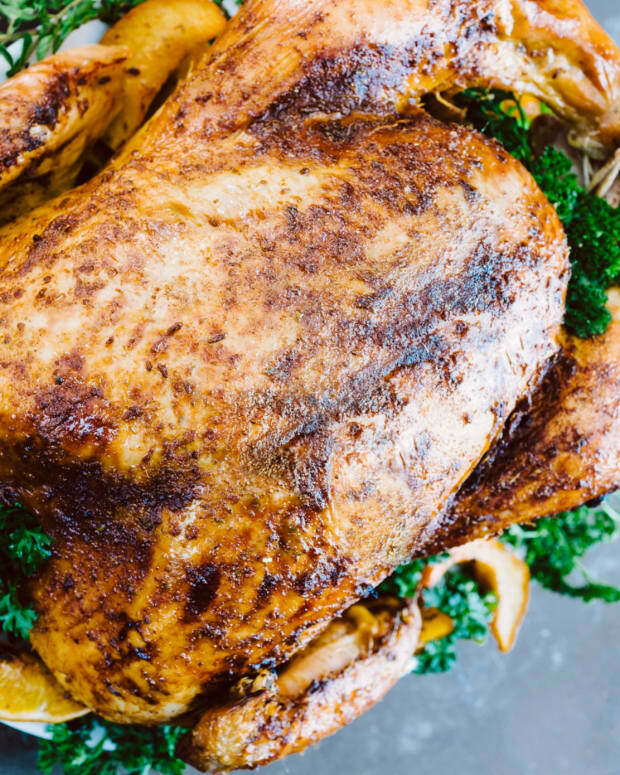 First of all, turkey need not be just for Thanksgiving – it’s delicious enough to enjoy year-round and is a great option when serving a crowd. That said, Thanksgiving is the turkey’s moment to shine, and here are a few tips to keep in mind to ensure success. 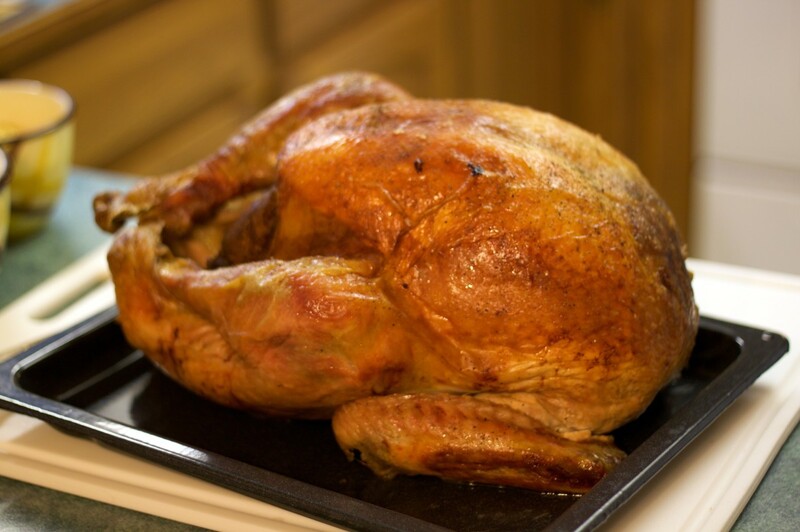 Keep in mind, pastured turkey is leaner than conventional turkey and therefore cooks much more quickly. It is also much more flavorful, so you don’t need to go crazy with the spices: a little onion, thyme and lemon zest will do the trick. Whether it’s your first Thanksgiving or you’ve been doing this so long you’ve lost count, we are here to help – give us a call at 888-790-5781 or email info@growandbehold.com and we’ll be happy to answer your turkey questions! 1. Allow time to defrost in the fridge. Figure 24hrs per 5lbs meat (put the bird on a plate, tray or newspaper). 2. Get the juices flowing. 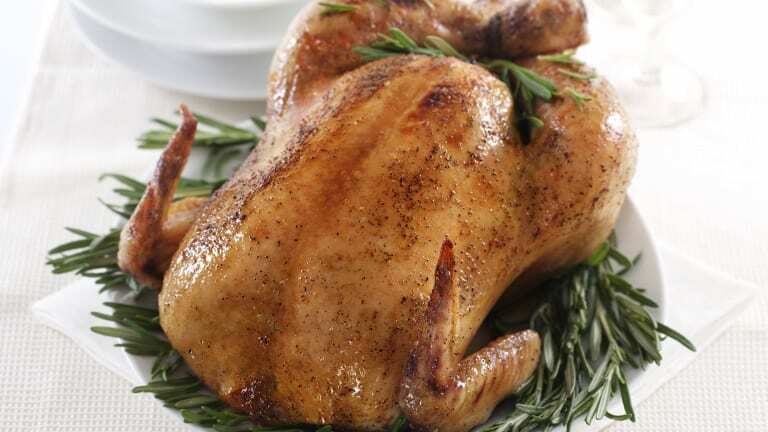 Cover the bird with shmaltz (rendered chicken fat) before roasting, and baste with pan juices frequently. Throw a couple quartered onions in the bottom of the pan to make delicious drippings, which will add depth and flavor to your gravy. 3. You can brine – with some caveats. Since kosher meat is already salted, most brines need to be adapted. 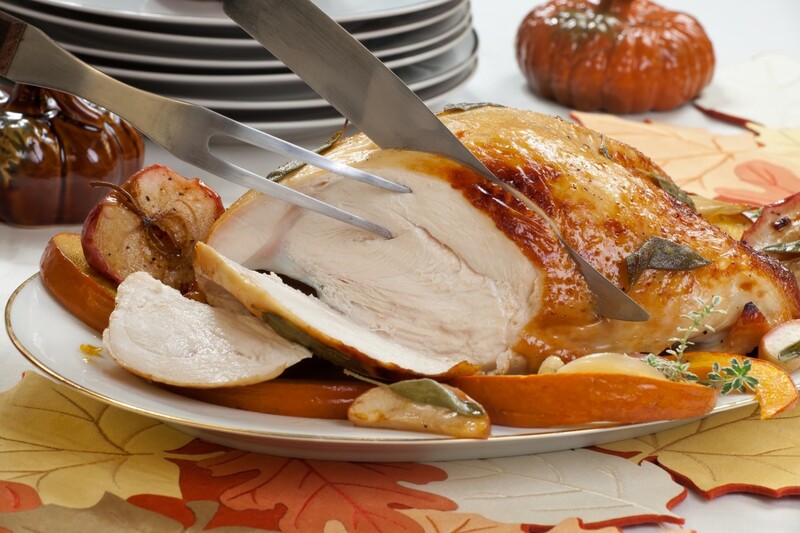 However, they can still work with kosher turkey and are a great way to add flavors and moisture to your bird. 4. 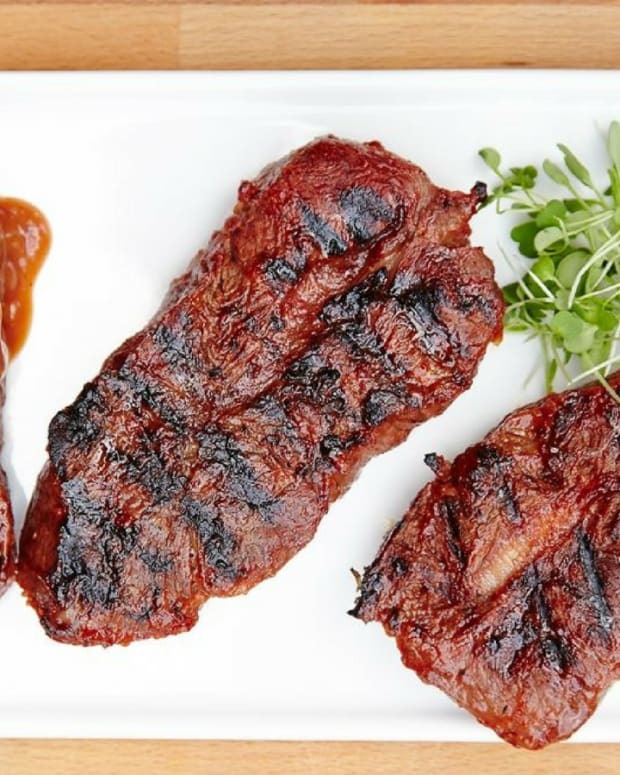 The breast may cook more quickly than the legs and thighs. If the breasts are done, cover them with foil to prevent drying out, or even better, carve them off when they are done, then return the carcass and drumsticks/thighs to the oven to finish baking. You really don’t need to wobble out of the kitchen with a whole turkey on a platter and attempt to carve it gracefully in front of everyone. Really. 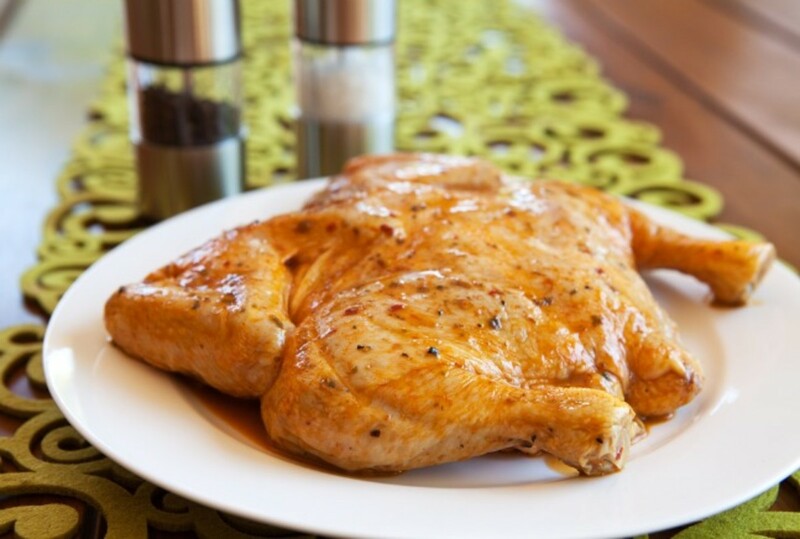 Carve in the kitchen, lay slices of breast neatly nestled among the drumsticks and thighs and bring a beautiful, manageable, platter to the table. If people want to pick at the carcass, they can do it in the kitchen! 5. Consider spatchcocking or cooking a half turkey. 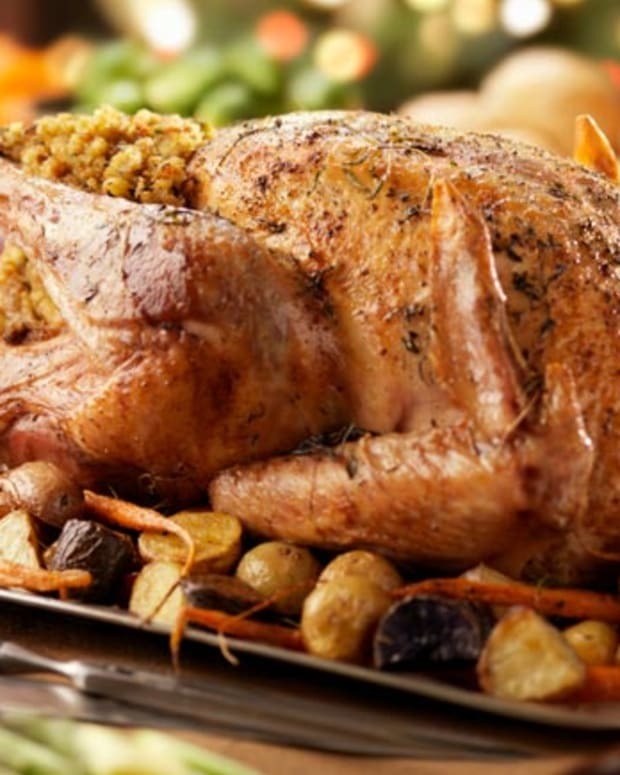 Again, the whole roasted bird has some nostalgia to it, but it is much more practical to cook a turkey that has been spatchcocked (breastbone removed, turkey laid out flat) or cut in half (half turkey). The turkey will cook in much less time (leaving your oven available to bake more pies) and be easier to manage. 6. 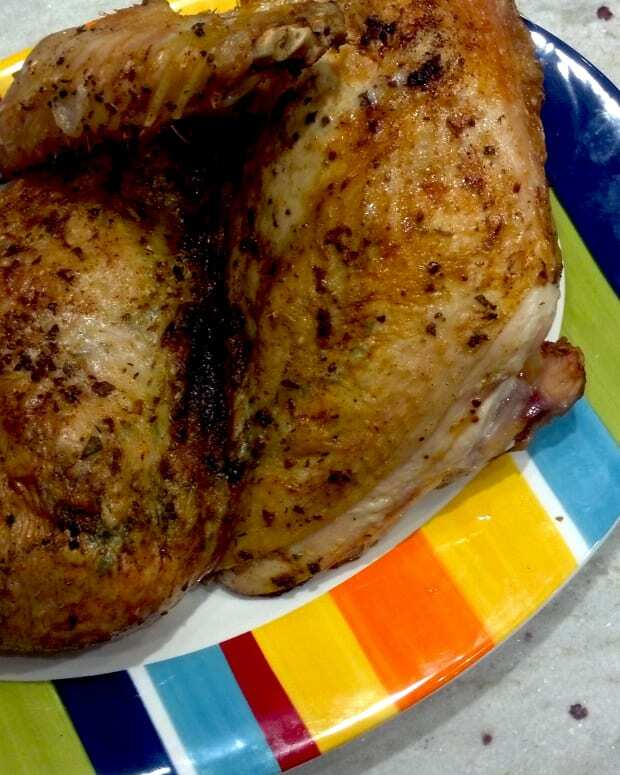 Pastured Birds are leaner and cook more quickly than conventional birds. Estimate ~12-15 minutes per pound at 325°F. Note that pastured turkey may still look “pink” even if it has reached appropriate temperature. 7. 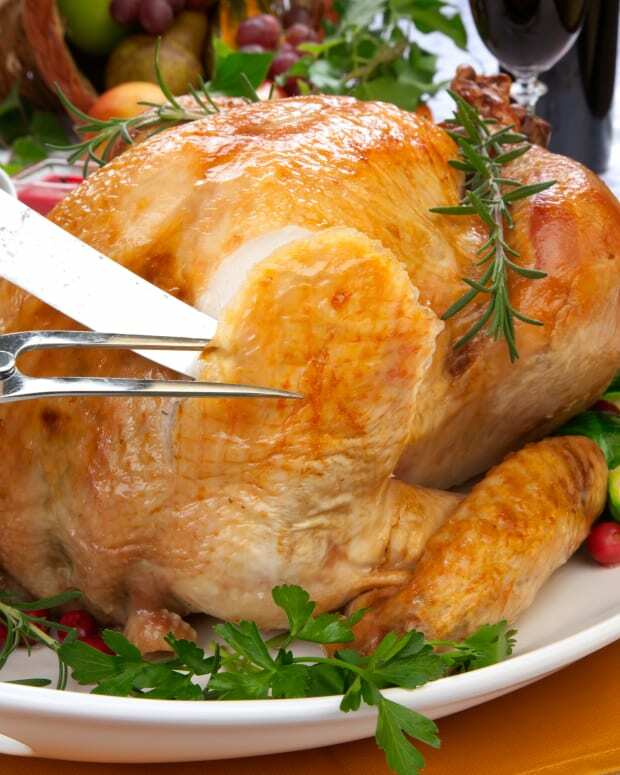 Use a meat thermometer and check it regularly. 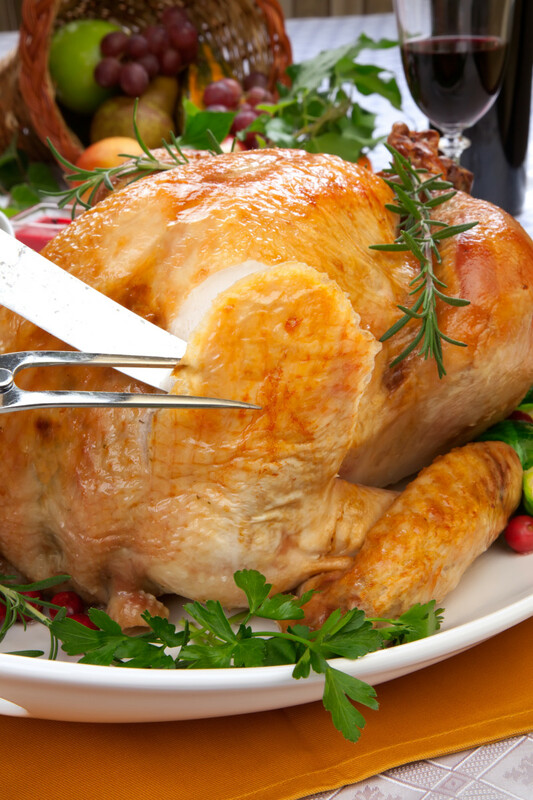 This is the best way to ensure you won’t overcook your turkey. Remember the temperature will continue to rise about 10°F after you take the bird out of the oven. We cook our turkey to 165°F. Please post any questions you have in the comments below and we will be sure to get back to you.